Quotas are the only solution to gender equality in the workplace, or at least that’s what an audience of lawyers were swayed to believe. Four big names from the world of law, media and politics came together last week at ‘The Legal Debates 2018’, a Thomson Reuters event in London to debate how to bring an end to gender inequality in the workplace. Arguing for the motion was co-founder of the Women’s Equality Party Catherine Mayer and Goldsmith Chambers barrister Charlotte Proudman. Meanwhile, BBC journalist Justin Webb and Thomson Reuters’ chief privacy officer Vivienne Artz argued against. The debate’s winners would be the speakers who scored the highest percentage in a follow-up poll. Last to enter the ring was Thomson Reuters’ Artz. Pointing to the examples of Spain, Italy and the Netherlands, where quotas have been mandated, the former lawyer explained how such measures have failed to lead to wider organisational change. “There is no trickle-down’ effect,” said Artz. “If it’s really about equality of opportunity and fairness for women — it has to be for all women,” she stressed. 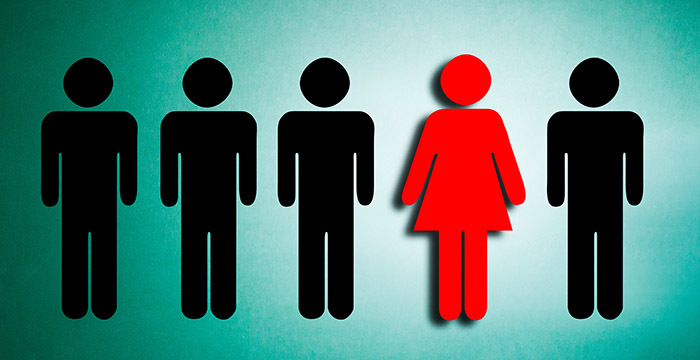 Artz said that quotas force women into the “unenviable position” of being a “number” or “token”. Then there’s the risk of women being seen as “illegitimate” — that they’ve been offered the role based purely on their gender or to fill a quota. “Women are on the backfoot even before they start!” she added. Having heard both sides of the argument, the follow-up poll revealed the audience opinion had shifted — 57.5% for quotas and 42.5% against. Mayer and Proudman were pronounced the winners.